This 18ct yellow gold pendant is based on the patterns in a peacock's tail. 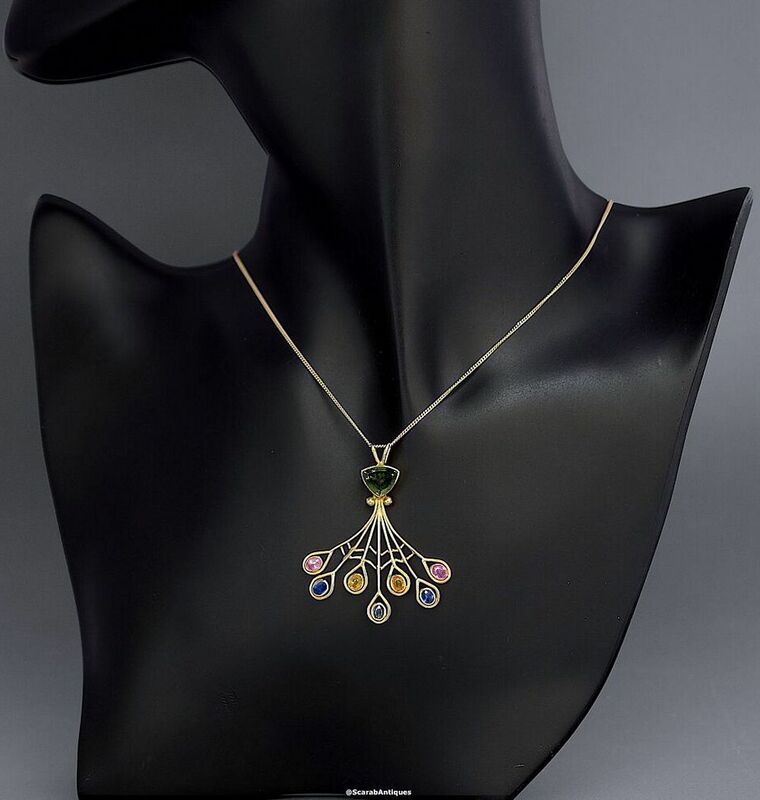 Designed and handmade by Jean Wilkinson & known as Peacock Tail, it has a double loop below which is a brilliant cut green zircon in a rubover setting. 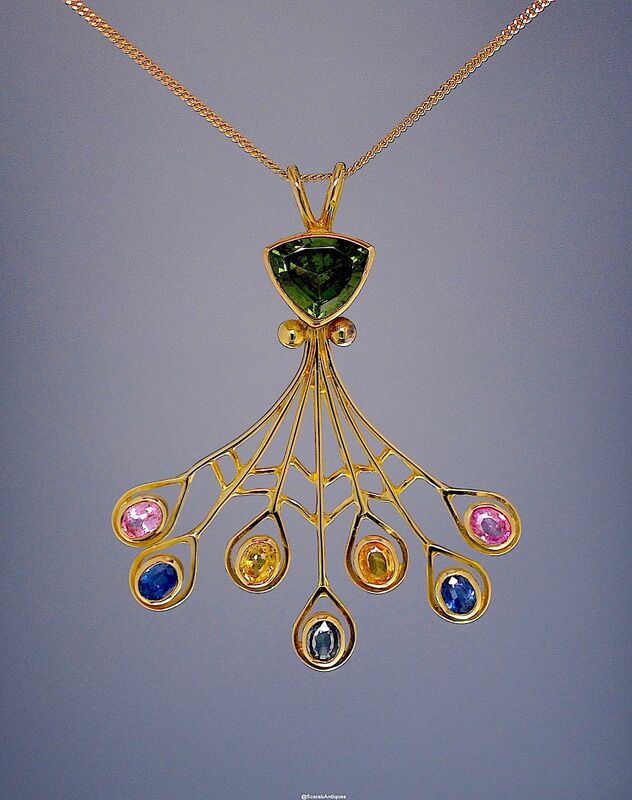 18ct gold wires fan out beneath the zircon and are rubover set with 7 oval sapphires, 2 pink, 2 blue, 2 yellow & 1 purple. The pendant hangs on a fine 18ct yellow gold chain.